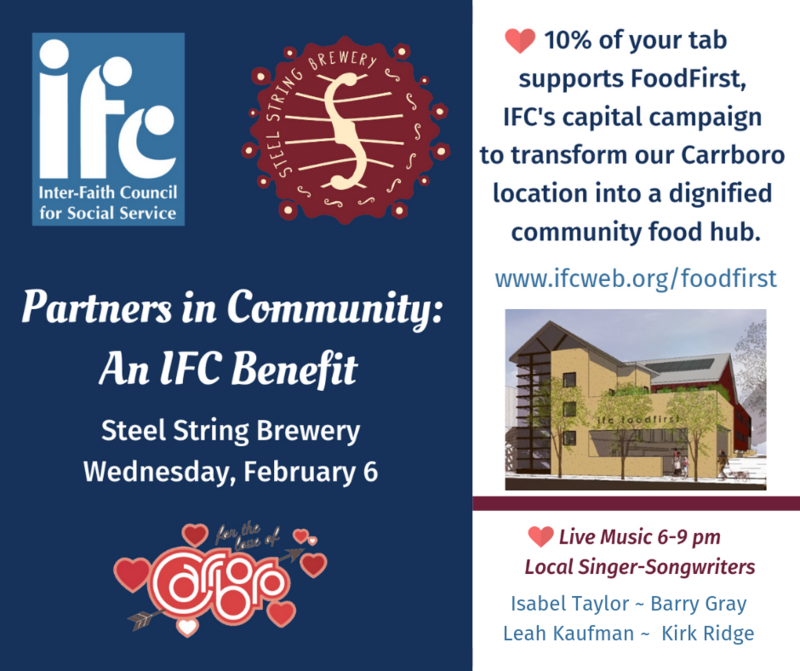 Join IFC, Steel String Brewery and four local singer-songwriters - Isabel Taylor, Leah Kaufman, Barry Gray, and Kirk Ridge - for an evening of fun celebrating community and supporting IFC's FoodFirst capital campaign. The musicians are donating their time, talent and tunes for your enjoyment, and 10% of our collective tab will go toward co-locating IFC's food security programs into a dignified and accessible space. Steel String is one of IFC's dowtown Carrboro neighbors, located at 106 S. Greensboro Street. Doors open at 4 p.m. Live music from 6-9 p.m.